James Richards Sketchbook: Five Copies for my Mother! The cover is a detail from my sketch of a mosque in Istanbul. 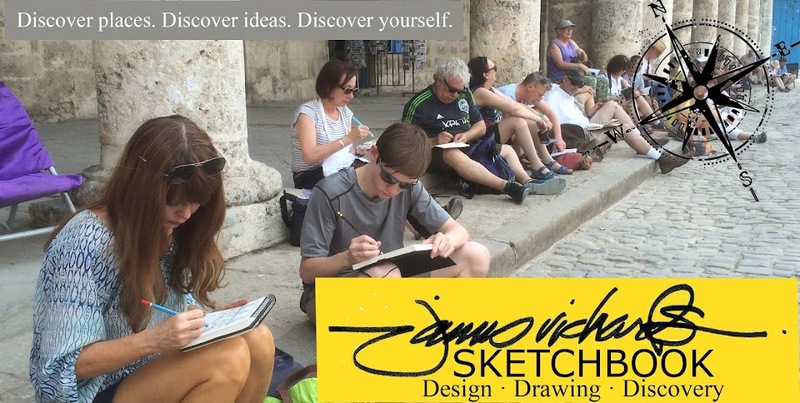 Some of you may know that I taught a sketching workshop for design students in Istanbul last year. I visited the city again three months later for the conference of the European Council of Landscape Architecture Schools (ECLAS). I had a grand time sketching the city, and made some wonderful friends. 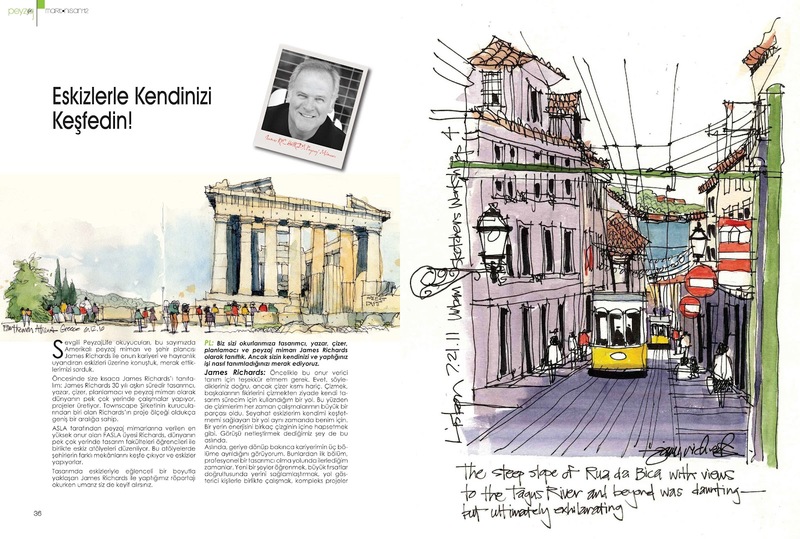 So, I was excited and honored when this Turkish landscape architecture magazine requested an interview to discuss drawing, design and creativity. I guess I got kind of wordy (imagine that), because they came back to ask for more sketches, and made the interview their cover story. 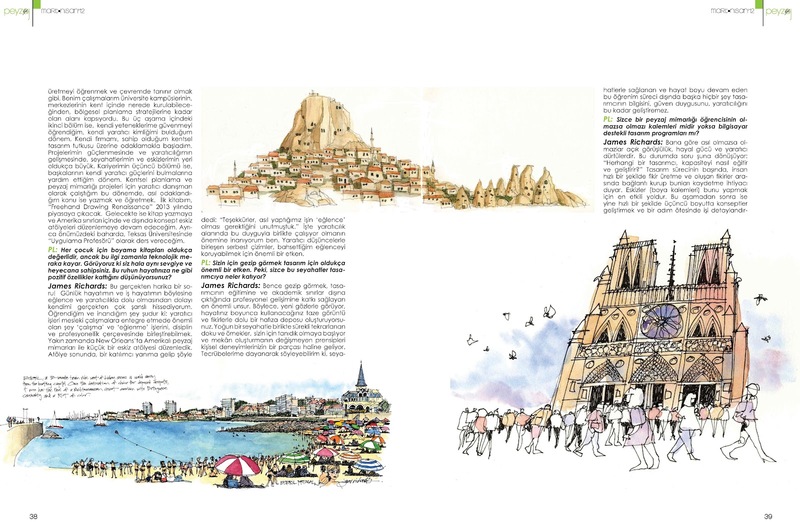 The full interview is in Turkish, so I don't know exactly how my answers translated, but happily sketches speak an international language. If you get a chance to visit Turkey, I can't recommend it highly enough. Europe, Asia, the Middle East and the Mediterranean coast come together in wonderfully exciting place...high adventure indeed! On-location sketches from the Parthenon and Lisbon. Location sketches from Estoril, Portugal, Uchisar, Turkey and Notre Dame in Paris. 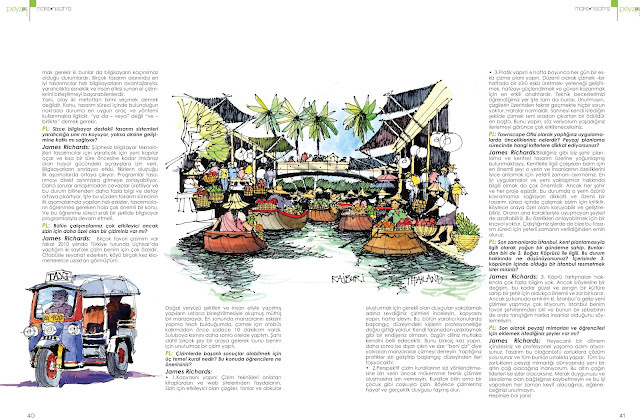 A tuk-tuk in Bangkok, and the famous floating market in Rajburi, Thailand.